Meaford residents are surrounded by a beautiful natural environment and economy which encompasses the blue waters of Georgian Bay, the green rise of the Niagara Escarpment, and many organic food and drink producers. The declaration was initiated by councillor Jaden Calvert, who brought the aims of the Blue Dot Movement to Council’s attention. Launched by the David Suzuki Foundation, the grassroots movement aims to see the right to a healthy environmental, including the rights to fresh air, clean water, and safe food, enshrined in our Canadian constitution. 3. The Municipality shall apply the precautionary principle: where threats of serious or irreversible damage to human health or the environment exist, the Municipality shall take cost effective measures to prevent the degradation of the environment and protect the health of its citizens. 4. The Municipality shall apply full cost accounting: when evaluating reasonably forseeable costs or proposed actions and alternatives, the Municipality will consider costs to human health and the environment. 5. The Municipality of Meaford shall review the objectives, targets, timelines and actions of the “Sustainable Meaford” plan and related Official Plan policies, and evaluate progress towards fulfilling this declaration. 6. The Municipality of Meaford calls upon the Province of Ontario and Federal Government of Canada to formally and meaningfully recognize that all people have the right to live in a healthy environment and direct Staff to forward this declaration to the Province and Federal Government for consideration with respect to future updates to the Environmental Bill of Rights and the Canadian Charter of Rights and Freedoms. 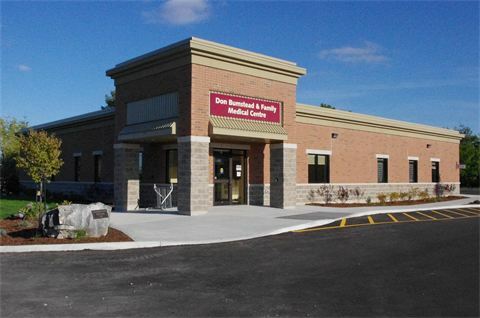 The new Don Bumstead and Family Medical Centre held it’s grand opening yesterday, and the building was busy as folks toured the long-anticipated facility adjacent to Meaford Haven. With the new clinic in place, the effort to attract new doctors to the area is well underway. Both the Meaford and the Blue Mountains clinic, in Thornbury, can support four family physicans, and the Meaford medical centre has already attracted one new family physician to Meaford. Another established local health services company, Georgian Bay Physiotherapy, is also moving into the clinic.